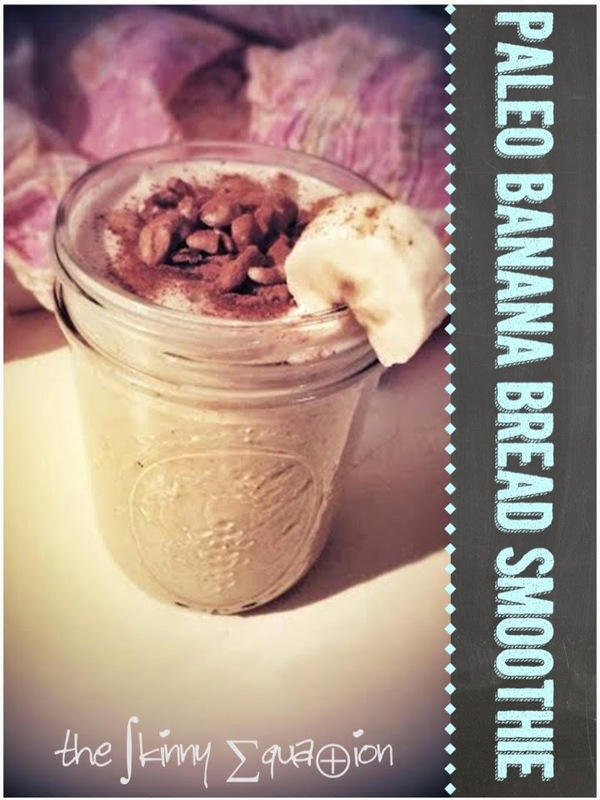 Perfect for post work-outs, breakfasts on the go, or to satisfy your sweet tooth, this Paleo smoothie is inspired by one of my all time favorite indulgences: banana bread. Packed with protein, this makes a fantastic recovery treat or meal replacement. Curb your cravings for pastries with a healthy, paleo-friendly alternative. Enjoy! 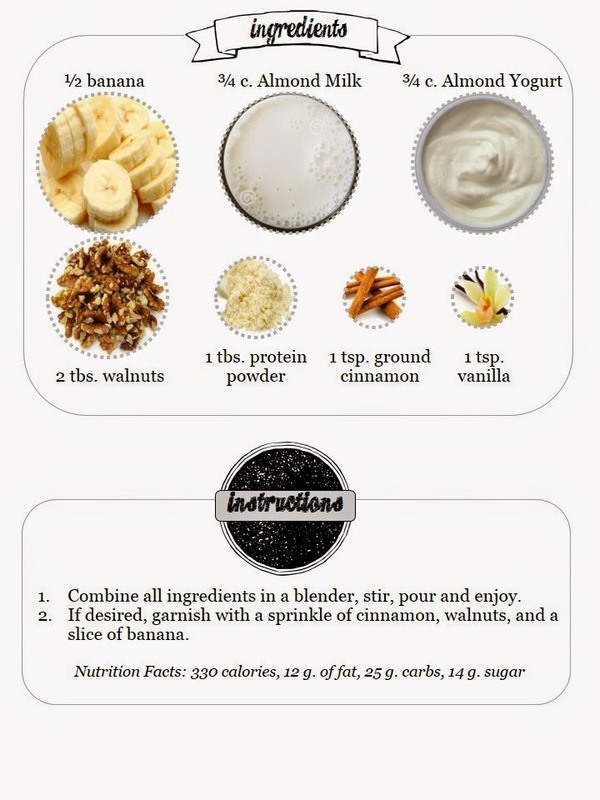 *Note - you can find almond or coconut yogurt at Whole Foods, or just opt for regular greek yogurt!